In India, Trump Project Buyers Offered Dinner with Trump Jr. - Integration Through Media ....! (VOA): Potential customers of high end property in India are being enticed by an unusual offer: the chance to spend an evening with the son of the American president if they decide to invest in residential projects licensed by the family’s company. Trump Jr. has been in charge of the Trump Organization along with his brother Eric since their father became president. His first stop will be Gurugram, a business hub on the outskirts of New Delhi, where local firms under a license from the Trump Organization are developing two 47-story towers bearing the Trump brand name. The more than 250 super-luxury units in the residential blocks are selling for approximately $1 million to $1.5 million each. India is the Trump Organization’s biggest overseas market, earning the family up to $3 million in royalties in 2016. The hope of the business partners is that the high profile visit of the American president’s son could give sales a boost at a time when India’s real estate market is witnessing a downturn — property prices have dipped nearly 30 percent following a crackdown on untaxed money by the government. In Gurugram, home to several luxury projects, many prominent builders are stuck with hundreds of unsold flats. 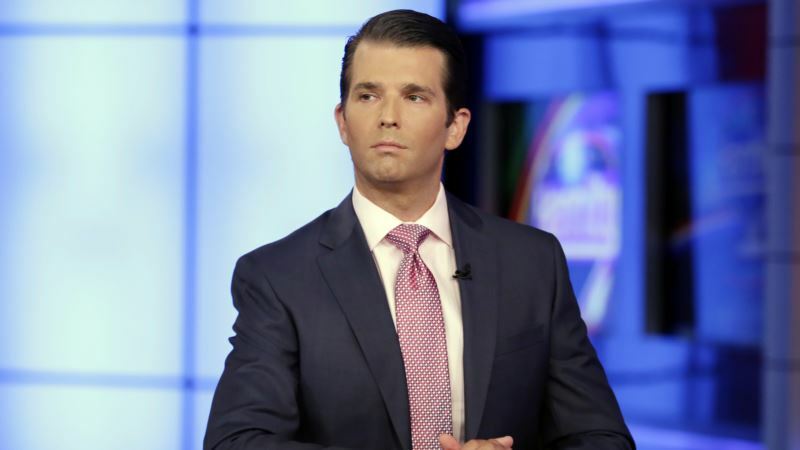 A retired professional in Gurugram, Umesh Sood, was not sure if the sales pitch of a dinner and conversation with Trump Jr. would actually prompt people to put their money down. Two of the organizations four Indian projects, in Mumbai and Pune, were launched before Donald Trump was elected president. The Kolkata and Gurugram projects were launched later, but the deals had been signed before his election. The Trump Organization announced it would not launch any project outside the US after he became president. Trump Jr. is the second child of Donald Trump to visit India. Ivanka Trump visited in November, in her capacity as a member of Trump administration, to address a global entrepreneurship summit.